Prior to hiring Up to Par, Lexington Golf & Country Club lost an average of $211,000 annually. During the first year of management, Up to Par generated $89,000 in positive net operating income — which is a $300,000 difference from previous years.  Over the past five years Up To Par Management successfully led the club to pay down over 1,000,000 in liabilities thus strengthening the balance sheet. Additionally Up To Par has led an investment of nearly $450,000 in capital improvement projects. For more than 100 years, generations of families have enjoyed the Lexington Golf and Country Club, a private, equity-owned club nestled in the Blue Ridge Mountains of central Virginia. Lexington features an 18-hole golf course known as the Jewel of the Valley, four tennis courts, a shortgame facility, a junior olympic swimming pool, and a restaurant. An elegant event venue dominates the upper floor of the club house and is often host to weddings and large gatherings. Lexington is home to the Washington & Lee University golf teams, and has hosted the VSGA Women’s Stroke Play Championships and MAPGA Junior Golf Tour as well as fundraising events for The Rockbridge Area Hospice, Military Officers Association of America, YMCA and Virginia Military Institute Keydet Club.